Aerial views of Ireland photographed by John Herriott, 2006. Low tide on the Lee at Blackrock Castle. 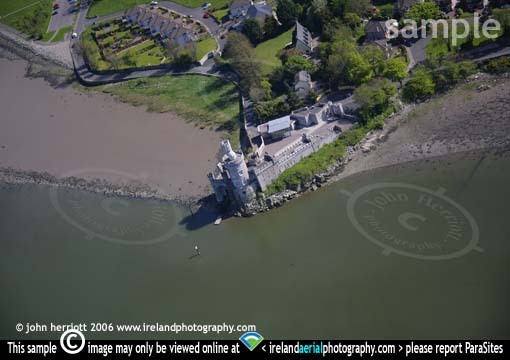 The Castle was used by Cork Corporation for civic functions and the Lord Mayor along with other dignitaries would set out from here by boat to the mouth of the harbour for the 'throwing the dart ceremony'.